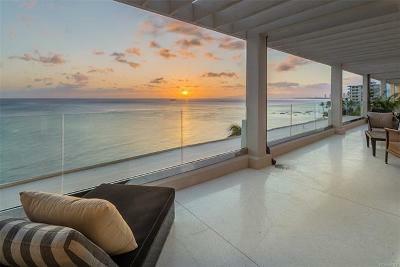 This property was constructed in 1957, two years prior to Hawaii's becoming a state. 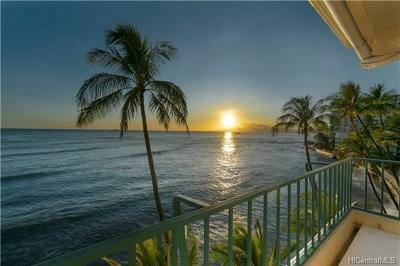 Tahitienne is a fee simple co-op primarily comprised of one and two-bedroom units. 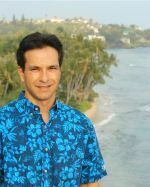 Lanais are about 100 square feet in size and face the ocean directly. A storage room on the ground floor has assigned areas for each owner. Racks outside the building allow residents to store surfboards and kayaks. Spaces are assigned on a first come, first served basis. Tahitienne is a seven-floor building with one elevator. Most floors have four units and the elevator services Tahitienne's residents nicely. The building has 31 residences total. Monthly maintenance fees include hot water, water, sewer and real property taxes. Tahitienne is a secured building and uses handy fobs instead of keys. Just wave the fob near a sensor to access the elevator or the security gate leading to the courtyard by the beach. It's a great system. Beach access is so simple. Just go to the courtyard and a gate allows you to walk along the seawall to a sandy area. Take a swim or go surfing, enjoy! 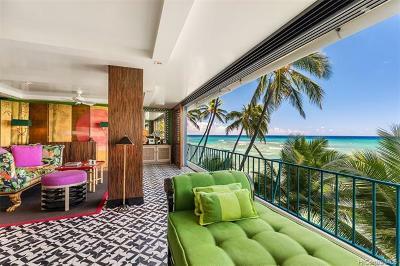 At this convenient location, it's a short walk to the Waikiki Aquarium, Honolulu Zoo and shopping in Waikiki.